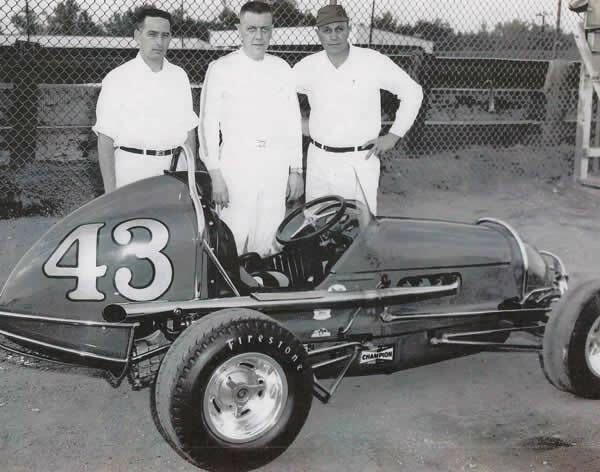 With his brother Vern, Buck Shaver began his racing career in 1954 when the Shaver brothers built a 1932 Ford coupe, #39, which they raced at Pikes Peak Speedway in Colorado Springs. 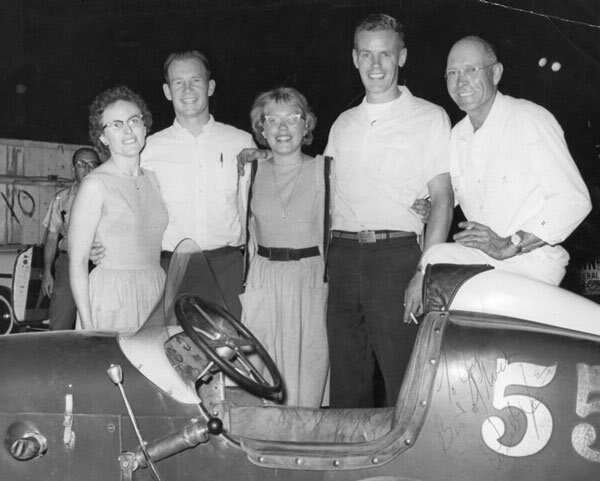 Later on in 1956, Buck and Grier Manning purchased the Shaver and Manning Phillips 66 service station, where John Hollansworth got them interested in midget racing. In 1962, John drove the #42 V8/60 Ford midget for a few races in Denver while Grier raced stock cars at Pikes Peak Speedway. In May, 1963, Buck teamed with driver Grier Manning full-time, and they brought the #42 Chevy 11 midget to Lakeside Speedway in Denver. From 1963 to 1971, Buck, Grier, and partner Chip Wendt won 32 Rocky Mountain Midget Racing Association features. In 1969, Buck, along with Chip was the championship car owner, and Grier Manning was the championship driver. In addition to driving midgets, Grier also worked on stock cars in New York in the 1950’s. Manning eventually began racing stock cars at Pikes Peak Speedway and later at Sportsman’s Raceway Park. From 1963 to 1970 and in 1977, Grier competed in the open-wheel division of the Pikes Peak Hill Climb. In 1967 and 1968, he raced an Offy for JC Agajanian. When Buck retired as owner of #42, he joined the Pikes Peak Chapter of Veterans Motor Car Club of America where he built engines are restored vintage cars. He served as president and technical vice-president of VMCCA. Buck passed away in 2009. Earl Kouba began his career in a midget in 1938 by competing at Merchants Park in Denver. In 1939, he won four features and was crowned champion even though he began racing at Lakeside Speedway in August of the same season. Earl continued to race throughout Colorado until 1943, when he joined the Navy. A machinist mate, second class on an LST, Earl was in the Battle of Leyte Gulf, and also the retaking of Corregidor. Discharged in February, 1946, he raced in California until racing reopened in Denver. At Lakeside Speedway, Earl ran forth in points in ’46 and 3rd in ’47, winning seven more times. The next two years Earl spent most of his time racing throughout the Midwest and the west coast. He competed at Soldier Field, where he suffered his worst crash, Walsh Stadium in St Louis, 16th Street Speedway in Indianapolis, Gilmore Stadium in Los Angeles, and Balboa Stadium in San Diego. During this stretch, the number of wins were never documented but was commonly believed to be in the 40 range. He returned back to the Denver area in 1950 and raced there until 1966, winning the balance of his 21 total wins in Denver area midget clubs. In 1958 Earl started his “Big Car” career driving for Ray Koch, winning the first Big Car Racing Association race. That race was at the Arapahoe County fairgrounds in Littleton. He raced BCRA throughout the 1965 season finishing in the top five in points five times. Dusting off an old Kurtis Offy in 1971, Earl competed until 1980 before concentrating on helping his sons, Joe and Jim, race sprint cars. Earl passed away in 1992. Frank’s involvement in midget auto racing started in 1947. At the age of 12 Frank started helping his uncle, Pete Mahr, on their midget race car. Between taking off body panels, side plates and cam covers, he was allowed to polish the body and clean up the car. But when not removing panels, or polishing the car, Frank was watching the intense car and engine work that was part of building and racing the Offenhauser midget. HE WAS BITTEN BY THE RACING BUG! These lessons laid the groundwork for a lifetime fascination with the entire racing experience, but especially engine building. At 15 he acquired his own track roadster. He couldn’t drive it but he could own it at 15. His roadster had a Model T type body, a V8 engine and a sprint car type frame. When Frank was 17 he convinced officials at Englewood Speedway that he was 18 so that he could race it on the dirt track. He was involved in a crash and with the URGING of his mother, decided that he would not be driving anymore! His mother did offer an alternative plan and help that included a loan to purchase another car, his first midget, #50, a Ford V8-60. He’s not sure he ever got around to paying her back. Frank prepared his car with great care and the first night he raced it at Lakeside Speedway the engine blew! Never one to be discouraged for long, it was “back to the drawing board.” Between 1952 and 1973 Frank owned four different V8-60 race cars and raced mainly on Colorado tracks. Frank became a quality engine builder while working on these different cars. In 1973, Bob Morrison hired Frank, along with race car driver Jim Beckley, to race the #97 Edmunds Sesco on the USAC circuit. The entry finished 11th in USAC for the 1973 season. Frank later purchased this car and it is one of five of his Vintage Cars. In the early 1970’s he started building motors for others, while still building his own. He hooked up with racecar driver Sammy Sauer in 1974. They made a deal that if Sammy would drive, Frank would be the mechanic and in 1975 they wrecked several of Harry Conklin’s cars. Next they went to work for Bob Olds Motors, which seemed to go better since Bob was a body man and could repair the equipment that Sauer and Peterson bent. Frank built the motors and did the chassis work; Sauer drove the cars and Olds repaired the body damage. That year, 1977, the team produced 11 main event win and won the championship. In the early 1980’s Roger Mauro and Frank owned the USAC Silver Crown car that Mike Gregg and Dave Strickland, Jr. drove. As a car owner Frank has scored three championships. As an engine builder he’s won seven championships for Hersh Racing and another two championships for Roger Mauro. He has over 60 main event wins as an owner and chief mechanic. Thirteen drivers have driven for Frank; Joe Alspach, Speed Roberts, Ken Wilson, Kenny Franks, Jim Beckley, Sam Sauer, Mike Gregg, Dave Strickland, Jr., Dave Strickland, Sr., Keith Rauch, Eddie Jackson, Chuck Gurney, and Jack Rounds. He has built Ford V8-60’s, Offenhausers, Volkswagens, Cosworths, Sescos, Chevy II’s and Esslinger engines as well as installing and tuning many engines for others. Frank currently owns the following midget race cars: the Wards #36, the #22 Elto, the #1 Edmunds Volkswagen, the #97 Edmunds Sesco, the #27 Ellis Cosworth, as well as the #12 Spike Mopar that won 5 main events in 2009. The car was driven by Keith Rauch who won the 2009 RMMRA Championship. These cars not only define a legacy in racing for many individuals, but also represent the PASSION for racing that has spanned Frank’s lifetime. 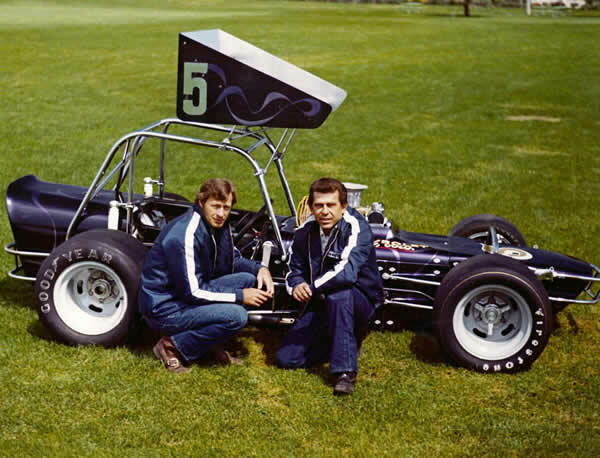 The father and son team of Henry “Hank” and Scot Hersh became interested in racing in the early 1970’s, sponsoring local modified and stock car drivers, including Stan and Very Sheilling, Herb Renz and Kenny Clark. In 1976 they ran a sprint car with the Big Car Racing Association. 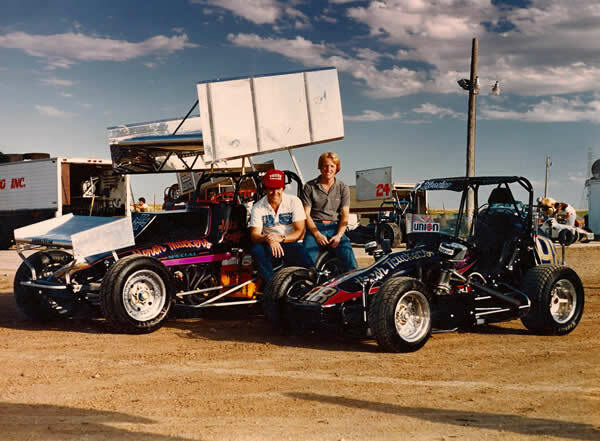 In 1977 they began competing in midgets with the Rocky Mountain Midget Racing Association. They went on to win the RMMRA Championship from 1977 to 1982 and again in 1984 and 1987 with Mike Gregg as their driver. In all, they amassed 62 feature wins in RMMRA competition. They also won the 1982 RMP sprint car title in Colorado. Other career highlights include winning the 1981 Belleville Midget Nationals and the 1984 midget feature race in the Seattle King Dome. They also won approximately 15 USAC National races. Other drivers that raced for Hank and Scot included Johnny Parsons, Steve Lotshaw, Dave Strickland, Jr., Bruce Field, Stan Fox and Brad Noffsinger. In 1984 and in 1986 they were also awarded the Curt Stockwell Sportsmanship award. 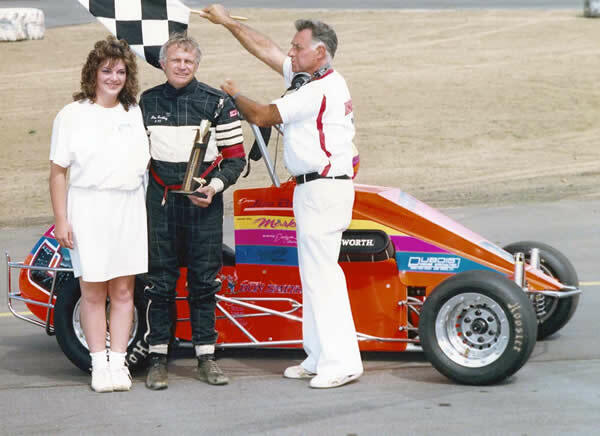 Scot also served as a mechanic for the 1990 USAC Turkey Night feature at Ascot Speedway, the USAC midget feature race during the 1990 Copper World Classic in Phoenix and the 2009 USAC National Midget Championship, with driver Brad Kuhn. Hank and Scot will always be remembered for having beautiful, well-prepared race cars carrying the “Hersh Truckers” logo representing the trucking business that Hank began in 1946 with his wife, Jean. The company is still operating today, run by his sons, Hank, Jr. and Scot. They also earned a well-deserved reputation for always helping other teams and their drivers, race tracks and local racing clubs. Hank passed away in 1998. Jerry Malloy, a Colorado native, began his career in motorsports in 1955 when he built his first car, the #83. During his career, Jerry raced both open wheel and stock cars at Lakeside Speedway and Englewood Speedway. While Jerry continued racing he soon realized, as did many others, his true gift and superior talent was in designing, engineering and building race cars. 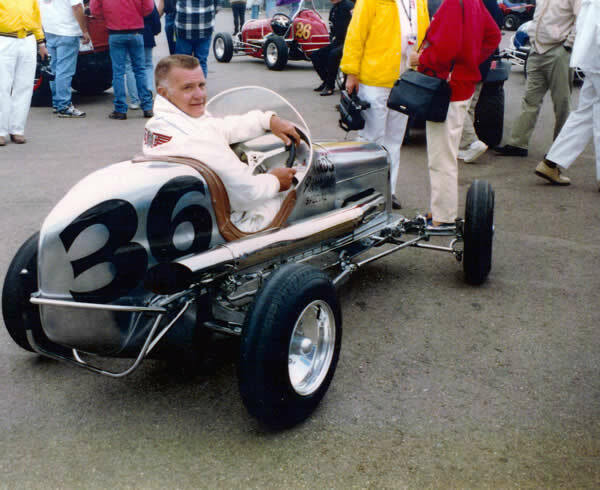 Never one to duck a challenge, Jerry built a variety of top race cars including midgets, late models, sprint cars, modifieds, super modifieds and a Pikes Peak Hill Climb car. Notable drivers who have driven his cars include his brother, Jim, Terry Nish (Utah), Jerry Lundgren (Idaho), Joel Terry (Utah), Jim Beckley, Leo Tucker, Joe Lehman, Bob Herring (Hill Climb), Frank Denning, Roger Avants, Harold Evans, Scott Backman and Rick Carelli, to name a few. In 1962 Jerry and his brother, Jim, began racing the Canadian American Modified Racing Association circuit with Jim driving and Jerry building and maintaining the car. In 1964 Jerry and Jim won an unbelievable 52 of 55 CAMRA main events. Together they won the CAMRA championship three of the four years in which they competed. In addition to building race cars, Jerry was awarded the Hoosier Tire distributor business, servicing midgets, sprint cars, late models and modifieds at numerous tracks, including Englewood Speedway, Lakeside Speedway, Rocky Mountain National Speedway and Colorado National Speedway. He sold the business in 2010. He retired from building and repairing cars in the mid 1990’s when he took up the challenging sport of wild turkey hunting. Jerry holds numerous Grand, Royal and World Slam records with the National Wild Turkey Federation. The most amazing fact is that he accomplished all of this after losing a hand at age 18 and losing a leg at age 23. Friends, competitors and fans have always admired the fact that Jerry never game in to those disabilities and did not allow them to get in the way of excelling in everything he’s done. Needless to say, whatever Jerry set his mind to, he accomplished in an incredible fashion. Jerry passed away in 2011. Jim Beckley was born and grew up in Englewood, Colorado. Near his boyhood home, the Malloy’s had a shop where they worked on and built stock cars. While in junior high, Jim started hanging around the garage. Jim drove his first racecar, a modified stock, at Englewood Speedway, in 1962, at age 18. He continued in that class until Frank Peterson offered him a midget ride, in 1969. Those wheels came with a V8-60, #90. They finished sixth in the final Rocky Mountain Midget Racing Association season points championship, in 1970, in the same car, but wearing the #48. Peterson then purchased a midget for the 1971 season, and Beckley finished runner up to Sammy Sauer for the RMMRA season championship. The team of Beckley and Peterson finished second again to Sauer, in 1972, but only missed the title by 30 points. Jim won his first two main events that year, both at Lakeside Speedway. Moving over to Bob Morrison’s Sesco in 1973, Jim spent most of the season running with the United States Auto Club in the Midwest. Jim finished 11th in USAC season points in 1973 and 26th in 1974. Jim then returned to Colorado and for the next 14 years Jim ranked as one of the top contenders for the annual RMMRA title. He took the crown in 1991 with Don Smith. In total, he captured 26 career midget feature victories. He also had a successful, though, relatively short, sprint car career, driving a rebuilt Curly Doggett car. He won four open competition mains at Century 21 Speedway during the limited time it was in operation. Rick Carelli started his racing career in 1973 following in the footsteps of his older brother Donnie. He won the season championship in his first full season of racing in 1975 at Lakeside Speedway. The late motorsports commentator Larry Nuber dubbed Carelli as “the High Plains Drifter” early in his career. Nuber gave Carelli the title due to his continuous travels from Colorado competing in late model stock car events in almost all 50 states & Canada, while still competing at his home track Lakeside Speedway every Sunday night from May to August. During the final season at Lakeside Speedway in 1988, Carelli claimed dual championships in both the late model and modified divisions – and was the only driver to do so in the history of the track. 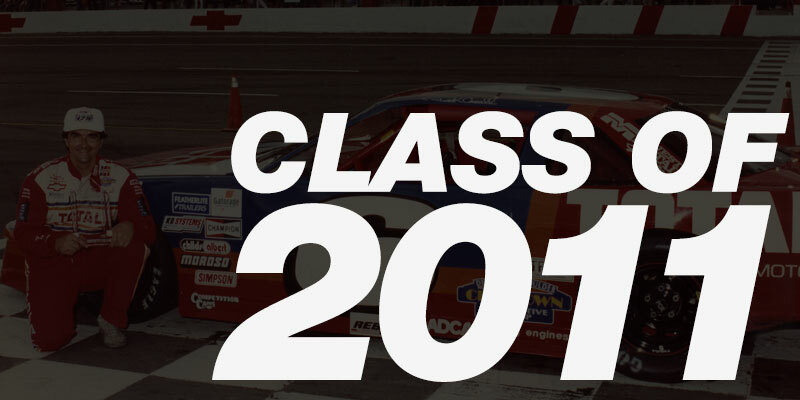 The 1989 season marked the first year of Carelli’s entry into NASCAR’s touring divisions when he competed full time in the NASCAR Southwest Tour Series and NASCAR Camping World West Series. After much success, his car owner, Marshall Chesrown expanded his operation to house a NASCAR Camping World Truck Series (NCWTS, formally the Craftsman Truck Series) team beginning in 1995 with Carelli behind the wheel. In 1996 Carelli scored his first NCWTS victory at Bristol (Tenn.) Motor Speedway. The following year Carelli broke through for a win at Gateway (Ill.) International Raceway. 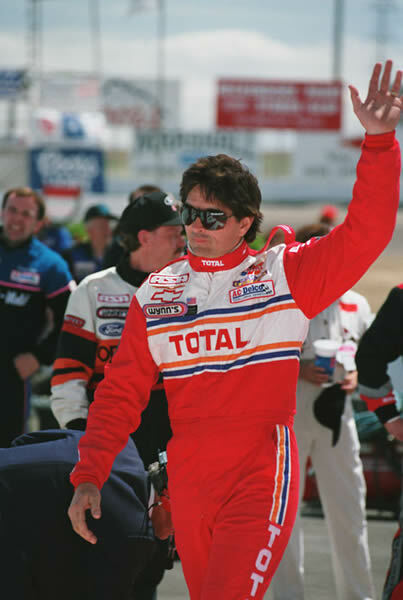 He suffered a serious accident in 1999 at Memphis (Tenn.) Motorsports Park. The incident sidelined Carelli for nearly a year. In 2000, not knowing if he would ever compete again, a friend from Colorado, Ed Belec, asked Carelli to drive his NASCAR Southwest Tour Series Chevrolet at Phoenix International Raceway. Carelli qualified second, led every lap and won the Copper World Classic in record-setting fashion in his first race back after the life-threatening accident the year before. Dale Phelon then signed Carelli to a one-year contract to pilot his No. 66 Carlin Burners Ford F-150 in the Truck Series. That same year he went on to win the NCWTS race at Richmond (Va.) International Raceway. The Phelon team was only able to run a handful of races in 2001, but Carelli had the opportunity to drive the No. 43 Petty Dodge Ram truck later that season. The 2002 season became the turning point in Carelli’s career, as Kevin and DeLana Harvick had just begun to build their Truck Series operation at the newly formed Kevin Harvick Inc. (KHI) in Kernersville, N.C. The Harvick’s called Carelli and asked if he would drive their truck in the first race of the season at Daytona (Fla.) International Speedway. KHI made a good showing in their first superspeedway event as Carelli crossed the finish line in the fifth position after leading 16 of the 100 laps in the No. 6 KHI Chevrolet. Although Carelli hoped to drive in some additional races for KHI, he instead assisted Harvick as his spotter in the Cup Series. As Kevin and DeLana continued to build KHI, they looked to Carelli’s vast experience to assist young up-and-coming driver Matt Crafton. In 2004, Carelli served as Crafton’s mentor and spotter. The following year Carelli was promoted to General Manager of KHI serving to further the competitiveness of KHI’s Truck Series operation as well as to assist the Harvick’s in their dream to expand to Nationwide Series competition. Today, Carelli now solely focuses his attention on managing KHI’s Truck and Nationwide Series programs, using his 30-plus years of racing experience to lead the organization on their quest for more victories and championships. Vern Shaver’s love of racing spanned more than 30 years. His racing career began in 1954 when he and brother, Buck, built their first stock car, which they raced at Pikes Peak Speedway in Colorado Springs. Veteran police officer Wayne Strobridge was their driver. In May, 1964, Vern began racing midgets with the Rocky Mountain Midget Racing Association. He was a hands-on car owner for more than 20 years, winning 39 RMMRA features and two United States Auto Club features. Vern was a championship car owner in 1967, 1968, and 1970, with Eddie Jackson driving the famous #5 Shaver Offy. Other drivers who won features in Vern’s midgets were John Hollansworth, Spyder Anderson, Jim Beckley, and Buddy Taylor. 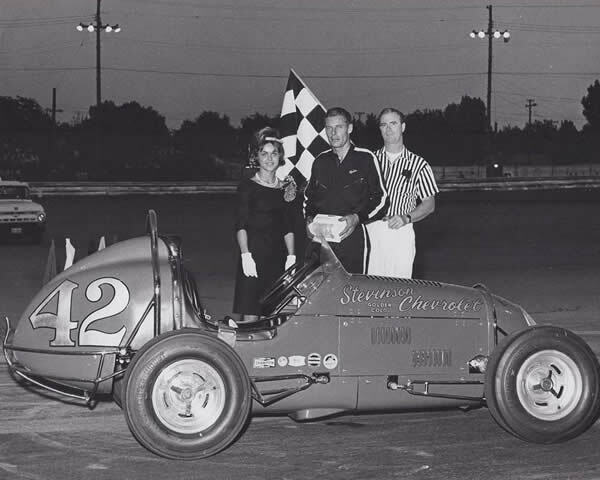 Vern won races outside the RMMRA with Dave Manes, Lee Birdsong, and had multiple wins with Buddy Taylor, including the Western World Midget Championship in Phoenix, Arizona. Additionally, Vern served on the RMMRA Board of Directors and Tech Committee. After he retired as an active car owner in 1983, he continued to assist his son-in-law, Gay Smith, with Gay’s hill climb racing efforts and was an avid NASCAR fan. Vern was a man of integrity, who always spoke his mind, and he never walked away from a good argument. Vern passed away in 2005.